PAX West 2018 has come and gone, but that doesn't mean the memories aren't remaining near and dear to our hearts. 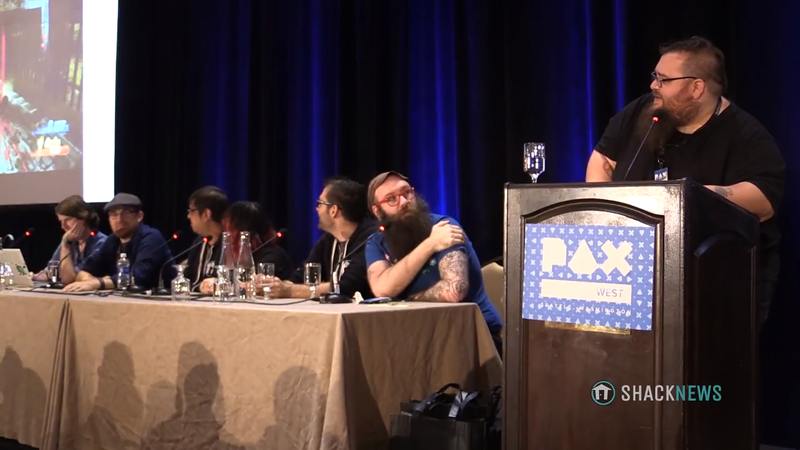 Monday, the final day of the show, brought the Shacknews crew and friends together for a very special panel. There's Shame to Our Game: Video Games We Hate to Love took place at 2 PM PT at the Sasquatch Theater in the Sheraton near the Washington State Convention Center, and it was a blast. Your intrepid panelists included yours truly, Blake Morse, Asif Khan, Greg Burke, Adam Rippon of Digital Eclipse, Kelly Robertson of iamkrobo arts, and Dant Rambo of Choice Provisions. We dished over our favorite games that we secretly love but, for whatever reason or another, don't want to share with the rest of the world. If you missed out on the panel, you can check it out in its entirety via the video below thanks to Greg! Make sure you give it a watch and let us know which games you're ashamed to love.